There are some seriously brilliant swimsuits out at the moment - from retro inspired to pretty liberty prints and dinosaurs. Get the best ones now for your little ones Easter and Summer holidays, the good ones always sell out. Just imagine jumping in the pool or sea...hurry up Spring and Summer! Main image: Dinosaur Swimsuit by Mini Boden, 2 - 12 yrs £14.50 - £16.50. Dinosaurs for girls, yay! 4. 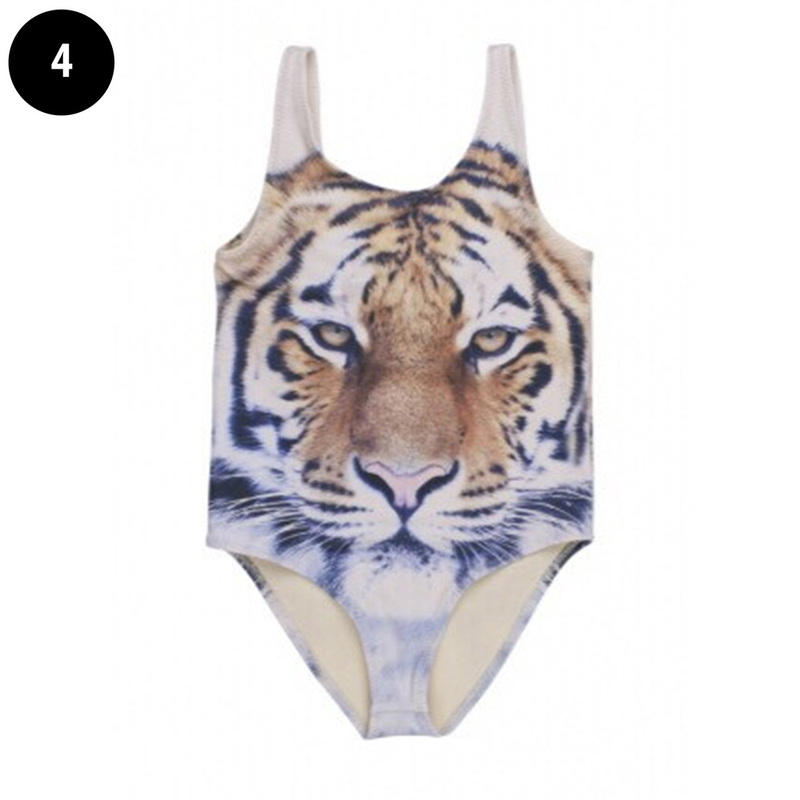 Tiger Swimsuit by Popupshop from Scout & Co, 1 - 6 yrs £26. ROAR! 5. 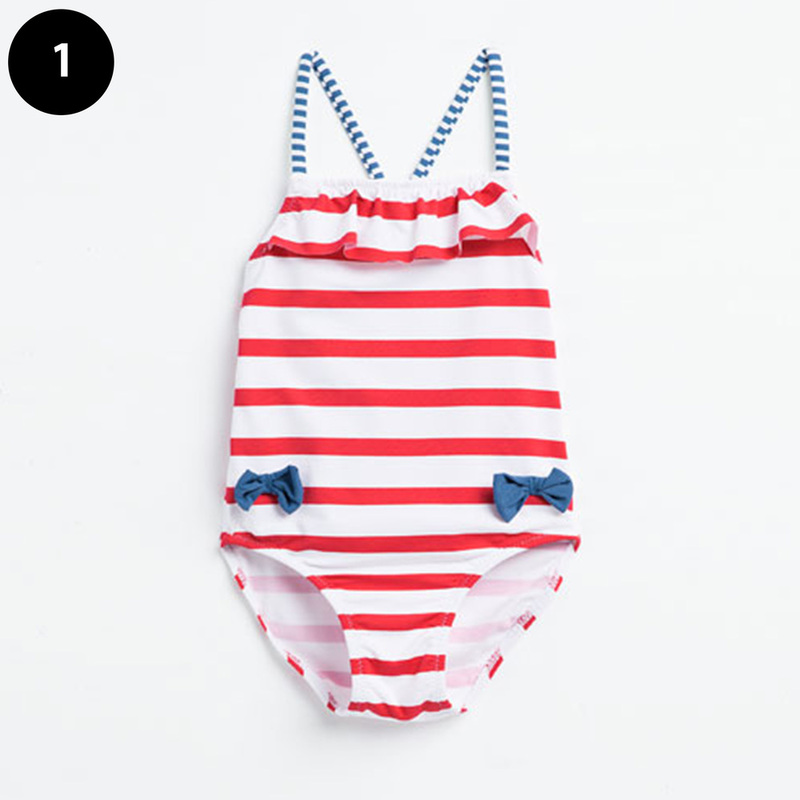 Vintage Swimsuit by Bobob Choses from Scout & Co, 2 - 7 yrs £30. I want this in adult sizes! Bobo does it again!